Reel in looks of amazement from all your friends with this Pen Fishing Rod! 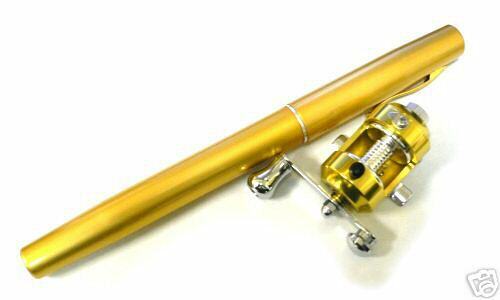 It appears to be a large fountain pen but it’s actually a mini rod and reel that really works. Just pull off the cap, extend the telescopic pole, attach the working reel, and start fishing. 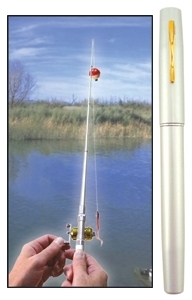 Unique fiberglass and aluminum rod extends to 33" long or down to 8.25". Compact and lightweight, it can hold up to 2.2 lbs. Assembles easily in seconds. Fishing line not included.